This has been on my mind recently, as I am reading Gorilla Mindset by Mike Cernovich. I have not given 100% for much of anything in my life. It is especially hard to do when dealing with health issues, as I have been off and on for the last three years (to be detailed out in further posts down the line). But this is an embarrassing admission to make. Most of my life, I have been able to work at whatever I need to and be relatively successful without serious effort. Note that I don’t always skate through. I am not particularly lazy, nor do I never work. I just haven’t really thrown myself into anything since I was in high school. That last thing was competitive theater, believe it or not. And when I put the effort in, I won first place in the entire state for classical comedic acting. But since then, not much. I have worked – I work on my writing. I work on my house, my business, work on my parenting. I read a great deal to find ways to improve any and all of those things. But I haven’t gone all in. Some of this is personal failing, and yes, some of it is laziness. Some of it is phoning it in. But as I considered this over the last couple of weeks (and have worked to correct it in small steps) I started to think about why this was so, in a bigger picture sort of way. I figured it could help me overcome it. For me personally, it doesn’t really matter. It’s been ten years since I was a public school student. It’s all on me now. BUT, I came to an interesting line of thought for myself. It isn’t really original, the mediocrity of the public schools is well documented. It may be a slightly different perspective on it, though. At the risk of bragging, I am very intelligent. I was able to be extremely successful in school – good grades, high ranking in my class, extracurriculars, etc., without any real effort. I did the busy work, but it wasn’t hard. I didn’t have to concentrate on it. Sure, it took time – most of school is a grind anyway. Even things that were hard for other “gifted” kids were not for me. With the exception of math, as I am almost functionally innumerate. But even then, I could skate through well enough. I’d toy with the idea sometimes. If I just spent a little extra time, I’d be valedictorian. But I never followed through. Why? I was almost the top of the heap anyway, so was it really worth all that work just to move up a couple of slots? I decided it wasn’t. And even now I’d say, for that particular thing, it wasn’t. But now, for other things, it is. But I don’t know how to do it. And thus I never learned to really work hard. There was one college class I was in that I did, but even with that one I had a natural affinity for the subject. I think this is endemic. 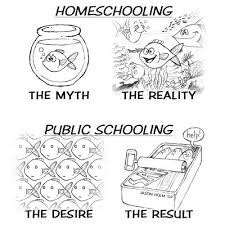 When everyone does well in the artificial environment of the public school, nobody learns to work. It’s an extension of the snowflaking issue of today’s millennials. And honestly, you can do ok even now if you’re moderately intelligent and will do at least some of the grind. When you don’t know how to work hard, though, it is a steep learning curve. It is a skill. When everything is easy, you don’t know how to do anything else. I think it is part of the reason why the dream is shifting from being a successful business owner to being a well-paid cog in the corporate machine. You don’t have to work hard to cash that paycheck. But when you’re the boss, that paycheck doesn’t come unless you make it come. It’s easier just to be the peon. I have done well for myself. My life is good. I don’t sit around doing nothing all day, but I could certainly work harder than I am. And I can play harder than I do, which is just as important. But the entire structure of the public schools breeds this. I am coming to believe that it does it on purpose. It makes it easier for the elites of the world to stay on top. I don’t want my children to be adults before they have to work hard to earn something worthwhile. That is one of the reasons they’re being homeschooled. No more skating through to get the gold star, and then floundering when exiting the system at age twenty-two (or, increasingly, twenty-six or twenty-seven). I’m making the effort now. I don’t want to skate along. I can do so much better than I have been. I am ready to stop surviving and start thriving. The honest truth is that I will not be able to make the career as a writer that I so desperately want work until I do work hard. Not with four kids and a household that I want to run well too. And more importantly, to conquer some of the issues that I am facing, I have to. My particular health problem can be managed and improved, but half-assing it isn’t going to do it. It’s time to work on self discipline and get going. And the Gorilla Mindset is going to help with that. I will finish my novel, and all my partially written short stories this year. I will take control of my health problems this year. I will organize my household and my life the way I want it this year. I will learn to work hard, and know real success.